We have two books from the Frances series and they are both outstanding books that really hold little girls' attentions. In this particular book, Frances has a new baby sister and becomes jealous and runs away (under the kitchen table). Then she realizes how much her parents love her as well and returns (back to the living room). If you have a new baby in the house, this is a really good book to read to your other children that might be a little jealous. Find the best price for A Baby Sister For Frances. In this story, Frances is not eating very well. She becomes a very picky eater and only wants bread and jam for breakfast. So her parents give her what she asks for, all the time. Eventually, she decides to eat a well balanced meal, once she tires of so much bread and jam. As with all the Frances books, she makes up her own little songs throughout the story. I sometimes catch myself saying some of the Frances lyrics, such as "Jam in the morning. Jam at noon. Bread and jam in the evening by the light of the moon." or "Bread and jam is all I am." Find the best price for Bread And Jam For Frances. Pete is upset because it is raining outside and he wanted to go play with his friends. Pete's father decides to cheer him up by pretending Pete is a pizza. When the dough gets tickled, it laughs like crazy. Pete's father says, "Pizzas are not suppose to laugh" and Pete says, "Pizza makers are not suppose to tickle their pizzas". It is simply a funny little story that our girls really enjoy. Find the best price for Pete's a Pizza. This book was written in 1940 but here we are in 2008 and my girls love it. It is a very funny story of a man selling caps for 50 cents each. He wears all the caps on top of his head and is very careful with them. Business is really slow one day so he decides to walk in to the country to take a nap. He finds a nice tree to lean against for his nap but when he wakes up, all of his caps are gone, except his own! Where did the caps go? You turn the page and you see all of these monkeys in the tree with his caps. The man becomes very upset but no matter what he tries, the monkeys won't return his caps. They just mimic him. Then the man gets so mad that he throws his cap down and starts to walk away. Then the monkeys throw all the caps down too and there is a happy ending as he gets his caps back. The story is also good for learning colors and counting. 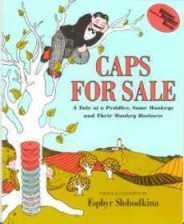 Find the best price for Caps For Sale. 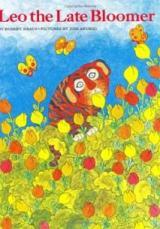 Here is another amazing book for children. This one was authored in 1955 and my oldest daughter loves this book. Harold draws with his purple crayon one adventure after another. If he gets in to trouble, such as when he accidently falls backwards and draws the ocean, this is no problem. Harold calmly draws something else to get himself out of trouble, such as a boat. He keeps drawing and drawing until he eventually draws his bedroom window again and his bed. Then he climbs in to bed and goes to sleep. 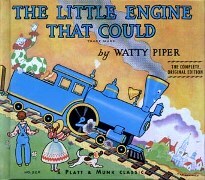 It's an awsome book that really works a child's imagination. 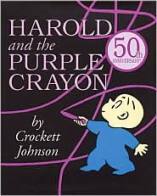 Find the best price for Harold and the Purple Crayon. This is very fun book for our girls and I'll admit it, I sort of enjoy the book myself. The illustrations are vivid and cute. 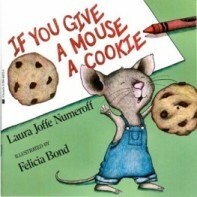 The story starts off when the mouse asks for a cookie. The little boy gives him a cookie but then the mouse wants a glass of milk. Then one thing leads to another and the mouse just keeps wanting more and more. The little boy keeps satisfying the mouse's every request but by the end of the book, he is really tired. The book goes full circle, as it ends up where it started off. This is one of those books that your children will memorize. That is how good the book is. It's a must buy for toddlers on up. Find the best price for If You Give A Mouse A Cookie. Leo the Late Bloomer is a very colorful book with an honest message, "Not everyone progresses the same, but in time, we all bloom." Leo's father is worried about Leo not being able to do all the things that he should be able to do. Leo's mother on the other hand, is not worried at all. She tries to comfort Leo's father. In the end, Leo's mother was right and Leo does bloom. Everyone is happy then. This book is encouraging for children that might not be good at something yet, such as reading or drawing. You can explain to them that they will eventually get it, just like Leo did. Find the best price for Leo the Late Bloomer. 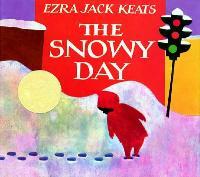 This one here is actually a book that I do remember from my childhood days. It is an American classic that teaches us all to always try, no matter how difficult the task may be. My girls love the little dolls and toys in this book and especially the clown. It seems like they focus more on those characters than they do the little engine that could. Maybe this is a difference between girls and boys. I'm not sure, since we only have girls! At any rate, this is a great book. You can find it used, like we did, for not much money at all. Find the best price for The Little Engine That Could. The book is enjoyed very much by children between the ages of 2 and 5. It is a cute story about this little bear who is fishing and his shadow keeps scaring the fish away. The bear attempts to get rid of his shadow by running and hiding from it. At one point, he even tries to bury his shadow. When that doesn't work, he then tries to nail it to the ground. It does go away for a while. Bear doesn't know it but it is because of the location of the sun. Bear takes a nap during this time and when he comes back outside to go fishing again, you guessed it, there is his shadow back. This time, Bear makes a deal with his shadow. He tells shadow that if he stays out of the way, Bear will allow him to catch some fish too. Shadow shakes his head in agreement, as Bear does at the same time. 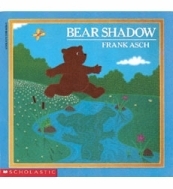 Then Bear and his shadow both catch a fish as the story ends. My youngest really enjoys this book. Both of my girls laugh every time I read it, as it really is quite a funny book. Find the best price for Bear Shadow. This is a good book for young children. It is about a little boy who goes outside to play in the snow. It shows all the fun a child can have with snow. The little boy leaves footprints, drags a stick through the snow, and even tries a snowball fight with older kids. Then he tries to put snow in his coat pocket to save but it ends up melting and he is upset. All is well the next day as he goes back outside to play in the snow again but this time with his friend from across the hall. Overall, this is a very simple story that young children love. Find the best price for The Snowy Day.